Chaussée De Charleroi 17, 1060 Brussels, Belgium. 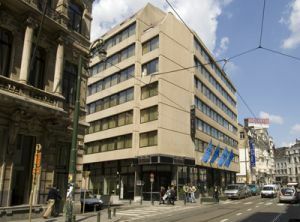 The Nh Brussels City Centre is perfectly situated in Brussels close by the classy Avenue Louise. Along this avenue you will find a lot of chique boutiques, restaurants and nice cafés. 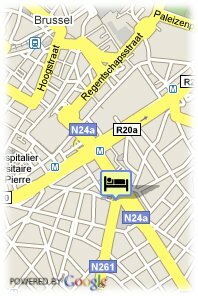 A little further you will enter several shopping areas of Brussels with all international marks. Near the shopping streets you find the Place de Sablon, the place to be for antique in Brussels and a very authentic atmosphere. All hightlights of Brussels can be visited by foot from the hotel like Manneke Pis, the Main Market, the Royal Palace and different museums. All of the sightseeing’s are within in 15 minutes walk, but you can also use the nearby metro or tram station. All our rooms are comfortable and completely decorated and lately refurbished. Lovely beds for a good night sleep with white linen with a “touch of satin”. All bathrooms have our fabulous “NH Agua de la Tierra” bath and shower products. Besides that we have special womenstyle rooms. Relax in the pleasantly refined atmosphere of the Bar/Brasserie Chez Louise, where a variety of delicious Belgian cuisine awaits you. Discover and enjoy a range of typical, regional products, including beers, light meals, snacks and a wide selection of à la carte dinners. Alternatively, you can just sit back and relax with a delicious waffle, accompanied by a satisfying cup of coffee. The restaurant is open every day of the week: Monday - Friday: 12:00 - 22:30, Saturday - Sunday: 16:00 - 22:30. The bar is open until midnight. Please note that from mid-July to mid-August the restaurant does not serve lunch.